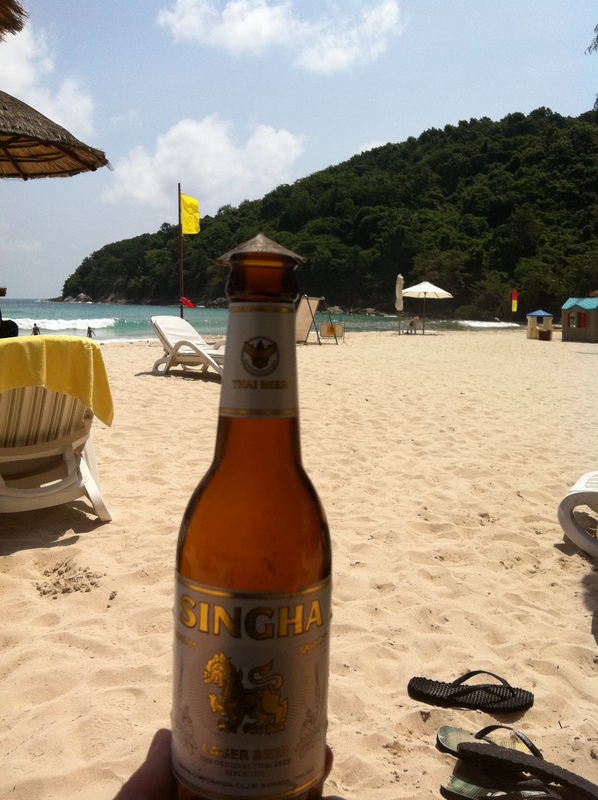 Singha has already graced the pages of BoTF in a prior musing with this entry detailing an on location sampling in Thailand. Singha is a globally reconginsed brand however I am advised that despite the bottle label saying “Since 1933” brewing officially didn’t start to occur until 1934 by Boon Rawd Brewery. Singha is a beer with plenty of flavour despite its watery composition that typifies of a lot of Asian beers. It is a delightful way to finish a hard days work on the beach if served ice cold or in the case of this correspondents samplying whilst still on the beach. Thailand has become a favoured holiday destination of Aussies and at this time of year (low season) we are very well represented. Unfortunately a live viewing of last weeks State of Origin was unable to be found despite an extensive venue search. To be honest though this was one of the best family holidays you can experience, lots to see and do for the kids, not over the top in regards to expense and the beer/food is cheap. We seemed to be the only “first time” visitors amongst what seemed like vast number of Aussies visiting this time of year. 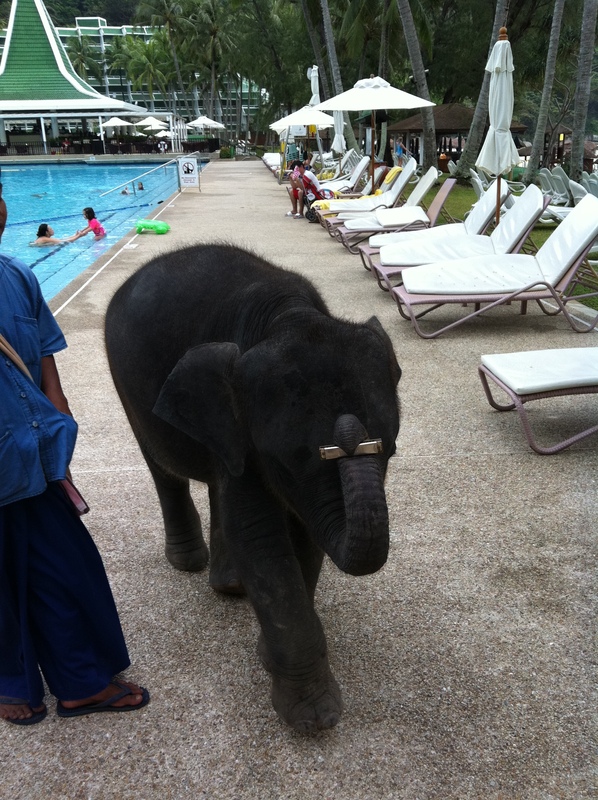 Thailand also has many elephants, some large, some small, some with harmonical talents. Nice photography. You’ve created an acceptable exception to the “no repeat beer” rule. The “on-location-exception” rule is now official.